Welcome, 'Fetti Fans, to Day 1 of the March Release for Reverse Confetti! The set we're introducing today is adorable -- and my daughter, Sage, totally agrees! It's called Unicorn Wishes and comes with coordinating Confetti Cuts. block, mixed with water, with a paintbrush. unicorn (isn't he the cutest!) and trees. to colour in the tree trunks, the unicorn's horn, hooves and nose. 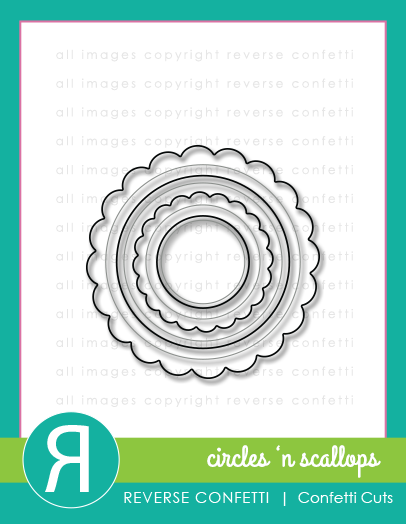 which I diecut using the largest scalloped circle from Circles 'n Scallops Confetti Cuts. with water for his horn, hooves and nose. called the Double Panel Heart Confetti Cuts. and coloured the bottom one in with my Zig markers and layered the second one over top. and used the scalloped circle to hide the seam. which I used as a border on my card. 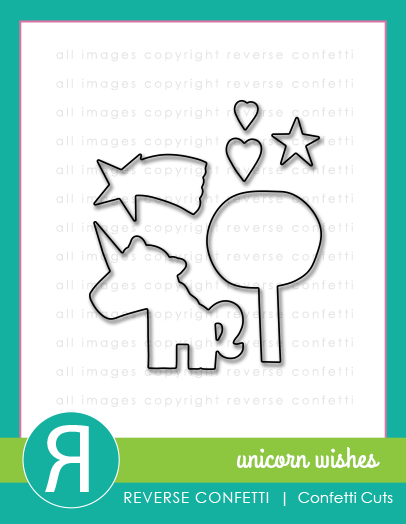 and layered a stamped unicorn on its coordinating confetti cut over top. 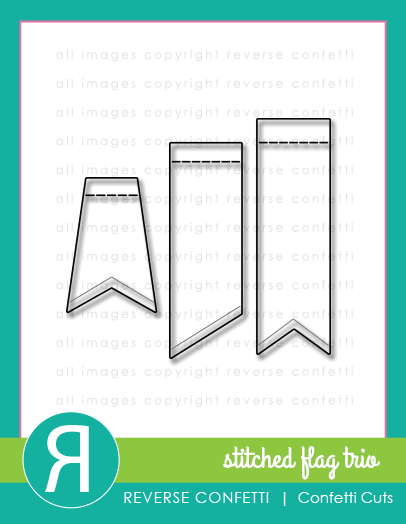 and then diecut the end using one of the flags from Stitched Flag Trio Confetti Cuts. 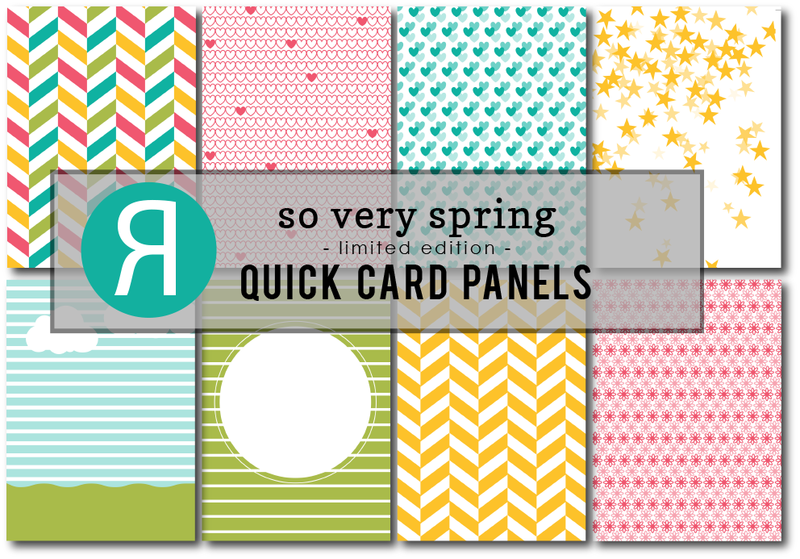 I adhered to my card and used it to hide the seam from my cut up So Very Spring Quick Card Panel. A few wooden stars, which I inked yellow, finish it off. because I used so many new supplies. oh my goodness...lovin' all of your unicorn cards Leigh! This little guy made me smile, he is brilliant and so much fun ! wow! you knocked the unicorns out of the ball park! cute, cute cards!!! totally love them all and that trio of color washed trees is awesome. These are awesome, Leigh! Love that new double heart die! Oh my goodness! All of your unicorn creations are totally adorable---especially the rainbow one!!! 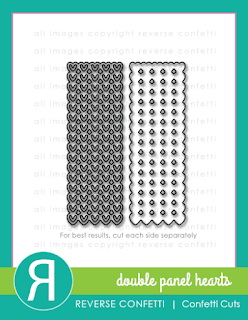 And I am loving the looks of that double panel hearts die set too!! Too sweet! The double hearts die...must have! 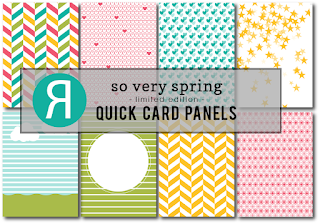 Your cards are too much fun, love the bright colors and then the soft colors too. Love these. That cute little unicorn just makes me happy! Great cards - I love the two tone trees in your first one. They remind me of the two flavor suckers I enjoyed as a kid. All of these cards are awesome! Well....aren't you just the over achiever! These are all beautiful! Rainbow trees...love! New heart die...love! Vellum doily with stars...stars and more stars...love! I adore your cards! So sweet!! I love all your cards! I love all of your cards!!!!!! I love the adorable trees and the rainbow colors! Ohhhh, it looks like you've been having FUN with this new set! Your cards are super and I especially like the first. I LOVE the creative way you've coloured the trees! So so cute! I love the magical one with the stars!! This set is a must have! Wow! What amazing release!!! !Your projects are absolutely gorgeus!!!! Adorable trio of cards!!!! I love the rainbow trees in the first cards - cute idea! Love how you shaded the trees. Clever idea. The last card is so pretty - with the stars and the clouds. Wow, cute cards, love them! What a fun batch! That adorable heart strip confetti cut is going straight on my wishlist! Pretty cards and love the magical looking trees in the first card! Darling cards! Really love the first one with those fabulous color combos! Each card is so different - Love them all! Love all of your magical unicorn cards! (Especially love the rainbow colored trees!) Each card is so different! My GD is going to love seeing your cards and I know she will want me to buy the unicorn stamp! They all look magical! Very cute cards. That unicorn is adorable. Beautiful cards, Leigh! My favorite is the one with the colorful trees! It LOOKS magical! Love it! Love each of your takes with the unicorn, but have to say, your rainbow-colored trees are magical. SO impressed by your creativity. These are both totally adorable Leigh!! I love the mulit colored trees and the unicorns mane!! What gorgeous unicorn goodness! Love these cards! "Oh, my goodness" is right!!! 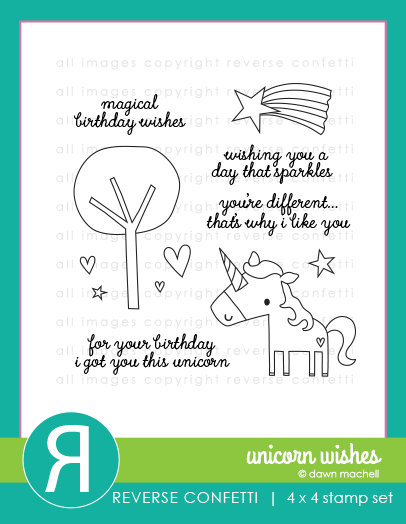 Three sweet sweet cards with this unicorn and also those fabulous trees. I really love all your cards, and looking forward to seeing more of that Double Panel Hearts die soon! :). Inspiring, Leigh. Great cards, Leigh. That unicorn will be great for young girl cards. Such a cute stamp set, and love what the DT did with it! So cute Leigh! I bet the Sage loves this set! Such fun, happy cards Leigh. Love this trio of whimsical cards Leigh!! Beautiful unicorn cards! Love the pretty pastel colors! Very cute unicorn creations. Love the colorful trees on the first one. All your cards are as sweet as can be! Especially like the first one with the rainbow mane/trees! Fun cards love all the colorful unicorns and fun background and embellishments! Love the unicorn with the vellum circle behind it & wooden star embellies. All of your cards are just fabulous - a true testament to your creativity! these are all so colorful! Not just ONE card but THREE unicorn cards!!!! Love all three and what a treat, Leigh. Lovely! Love love love it! Thanks for sharing! Lots of cute, colorful unicorns! I love the rainbow trees! Omgosh, I don't know how you do it! These are absolutely adorable and fun and happy! Love how you did the trees in the first card. Such pretty colors. Eeek! Love what you've done with that little unicorn, girl! These are just too cute! I especially love the way you've colored those trees, and your purple hearts are AMAZING! Great job showcasing this sweet, new, stamp set!